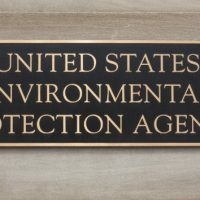 DES MOINES, Iowa (AP) — The U.S. Environmental Protection Agency has rejected a petition filed by environmental groups that asked the agency to withdraw the Iowa Department of Natural Resources’ authority to manage a program designed to limit water pollution. Iowa Citizens for Community Improvement, the Iowa Chapter of the Sierra Club and the Environmental Integrity Project filed a petition in 2007 asking for tougher fines, penalties and inspections and Clean Water Act permits for large animal confinement operations. The EPA found some of the complaints valid and in 2013 entered into a five-year work plan with the Iowa DNR to bring its oversight program into compliance with federal regulations. The environmental groups say they received notice Wednesday that EPA is satisfied with the DNR’s progress and declines to revoke the state’s water quality enforcement authority. Iowa CCI accused the agency of “whitewashing” the problem. Iowa is the nation’s largest pork producer with more than 23 million pigs on farms. Environmental groups say frequent manure spills contribute to increasing water quality problems.